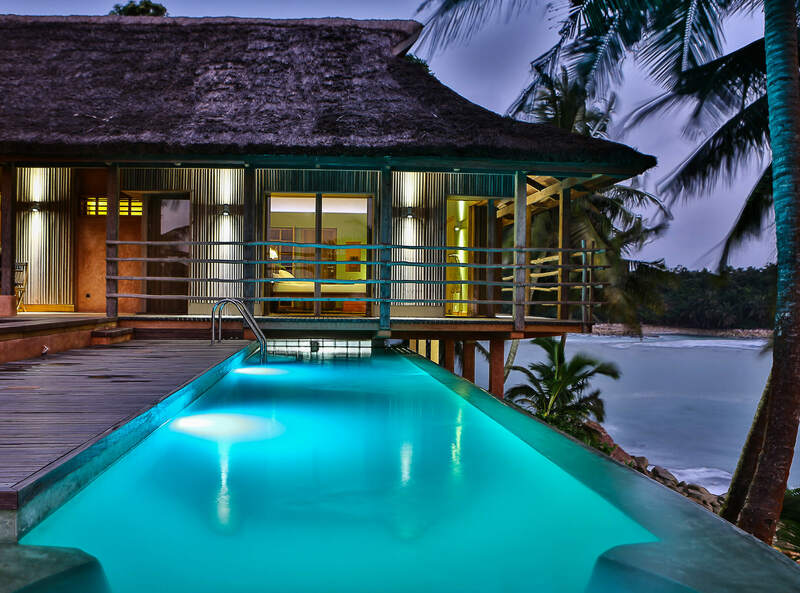 Lou Moon Lodge is located on the edge of Agyan village, near Axim, in Ghana’s Western Region. It’s approximately one hour’s drive from Takoradi. 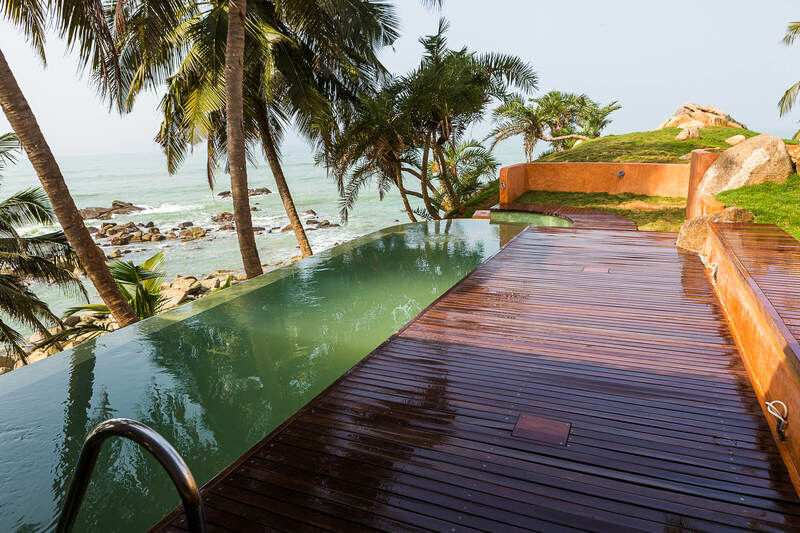 With its spectacular natural beauty, relaxed upmarket boutique accommodation, personalised service, and Ghana’s only private beach and bay, Lou Moon is about as close to paradise as you can get. Guests reviewing the lodge often mention its serene setting, and frequently compliment the staff on the excellent service they provide. One thing that some people complain about is having to travel down a short piece of very uneven road, just before Agyan village, on the way to the lodge. Unfortunately the maintenance of this section of road is outside the lodge’s control. However, 4×4 vehicles can easily manage it, and the lodge is happy to arrange a transfer from Takoradi airport in their air-conditioned 4×4. Although it’s a small hotel, Lou Moon Lodge offers a range of accommodation. 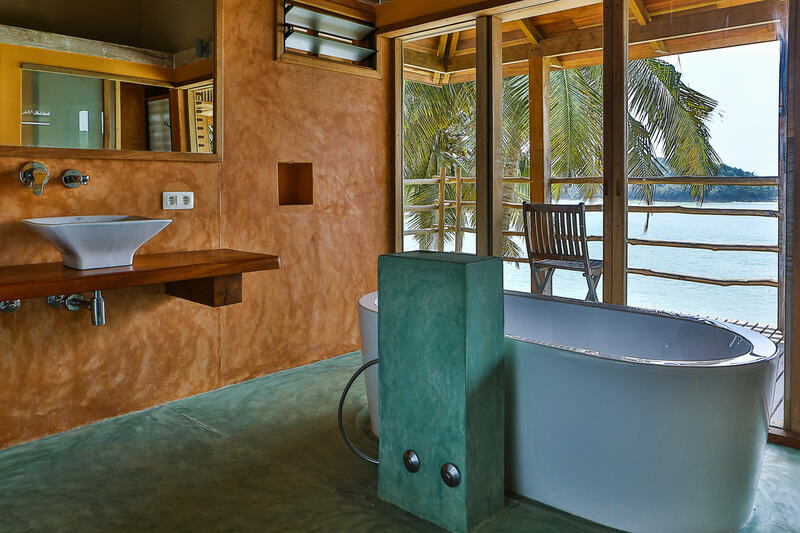 You can choose a cosy en-suite hill-side room, a spacious suite with stunning views across Lou Moon Bay, or a lavish island villa with private infinity pool overlooking the sea. The open-air dining and bar area takes full advantage of the cool sea breeze and boasts 180 degree views across the lodge’s perfectly manicured gardens and out to sea. Lou Moon’s private beach and private natural bay are its centrepiece, and worth the trip alone. There is no public access to the bay or beach at all, making this the only hotel with a truly private beach area in all of Ghana. The bay provides shelter from strong waves and currents to create the perfect calm natural swimming pool. Take a dip in the cool water, relax under an umbrella on one of the hotels hand-crafted wooden sun loungers, or choose a free activity such as kayaking or beach volleyball. The choice is yours. + Cocktail / mocktail drinks on arrival. + A romantic dinner for two on the beach with a bottle of sparkling wine. 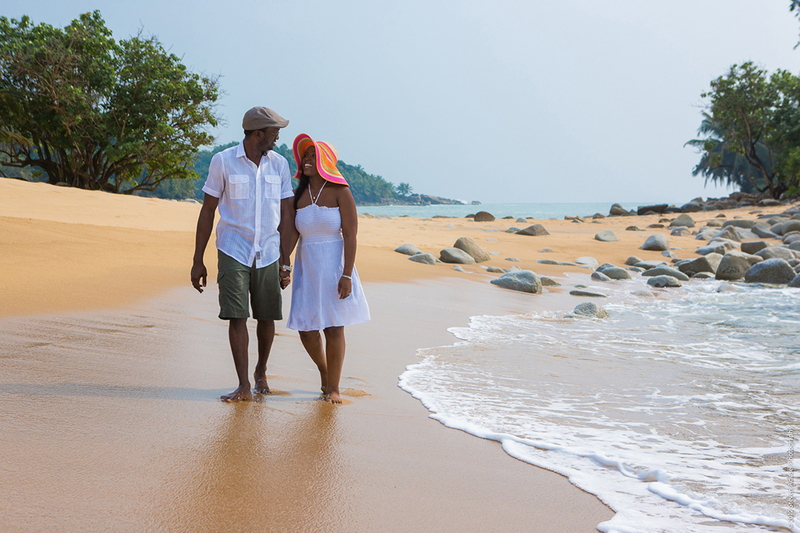 + A relaxing massage for two at the beach (subject to availability). + Access to all beach facilities and complimentary activities.